So here is my attempt at making cloth “paper towels”..
and yes.. what a joke it was..
My first attempt began with Gerber’s flat diapers. I bough t these from Target in a pack of 12 for about $9 (they were on clearance) and they sized 24″x27″. They also were marked as being Birds Eye cotton. Although this may be true, the weave was ridiculously large and before I even washed them the edges were pulling away from the fabric.. I should’ve just returned them right then and there but no.. the optimist in me thought I could make it work.. I cut them to 12″x24″ for an extra large cloth. 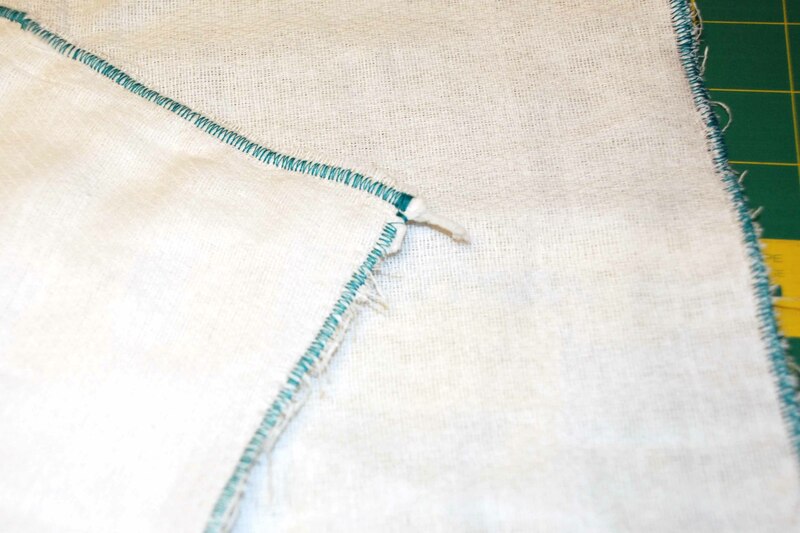 I have yet to wash the finished cloth, but as you can see from the picture, the edges are all loose and even though I doubled up the fabric, you can still pretty much see through it. I have this gut feeling that as soon as it goes in my washing machine it will go in the trash.. So I opted to actually get some true Birds Eye cotton from a local fabric store. They unfortunately didn’t have organic cotton, but I figured this would be an upgrade from Gerber. 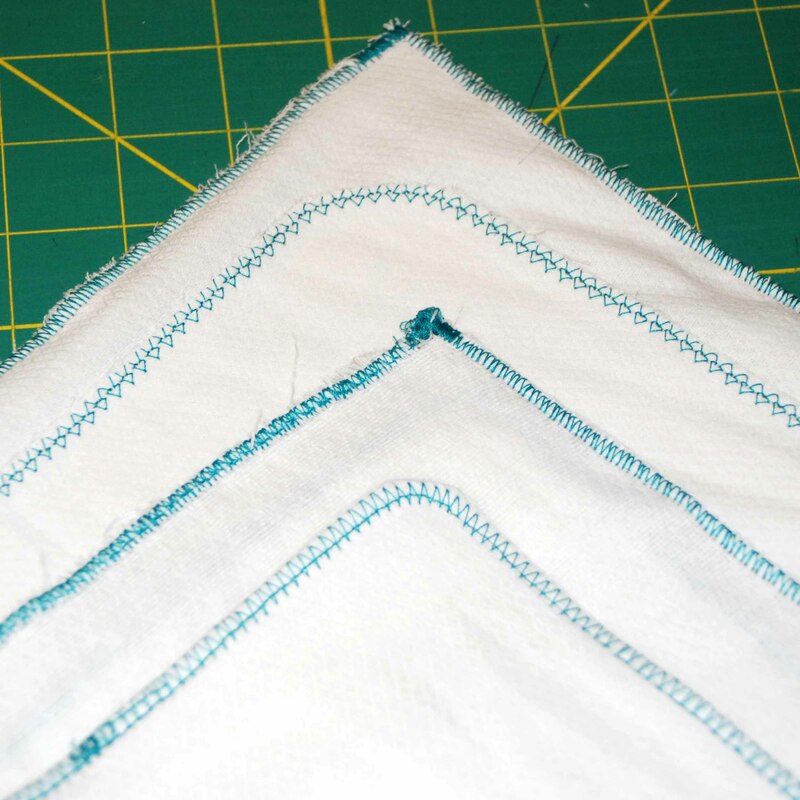 So I cut 11″ x 11″ squares and because I don’t have a serger I opted to try a few different methods. My first attempt was just a zig zag stitch all the way around the outside. 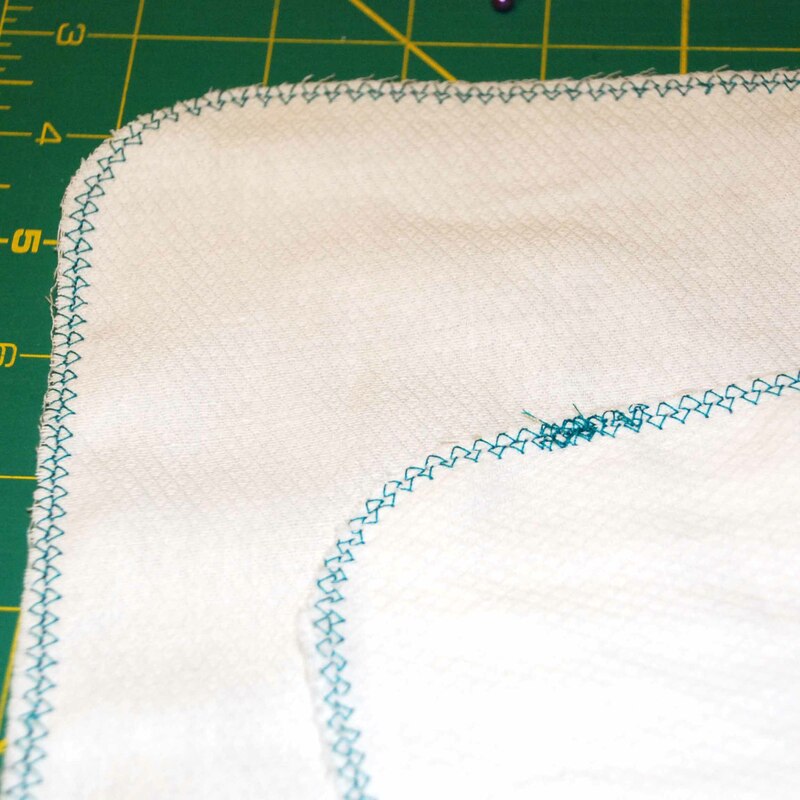 I like the look of the stitch, but I hated the square corners. 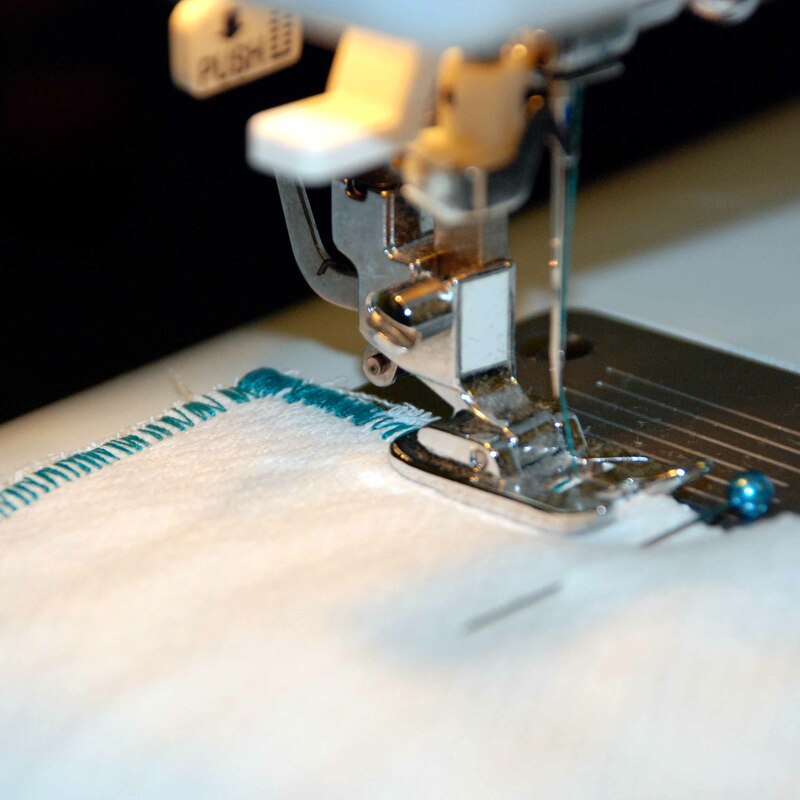 There was not way to really make these look ok without have an upsurd amount of extra thread on the turn. So my thrid try was to round the corners. I just folded the two pieces of fabric in half and then in half again so I could make one rounded cut to all corners. This way they matched. I also tried a different stitch on my machine. Although I like the stich a lot, I’m not a fan on how it looks at the start and end points, and I’m not sure how this will hold up in the wash.. We’ll see.. So my third time was not a charm and therefore I made one last attempt. Which ultimately I think will wear the best and looks the best, with some future modifications. 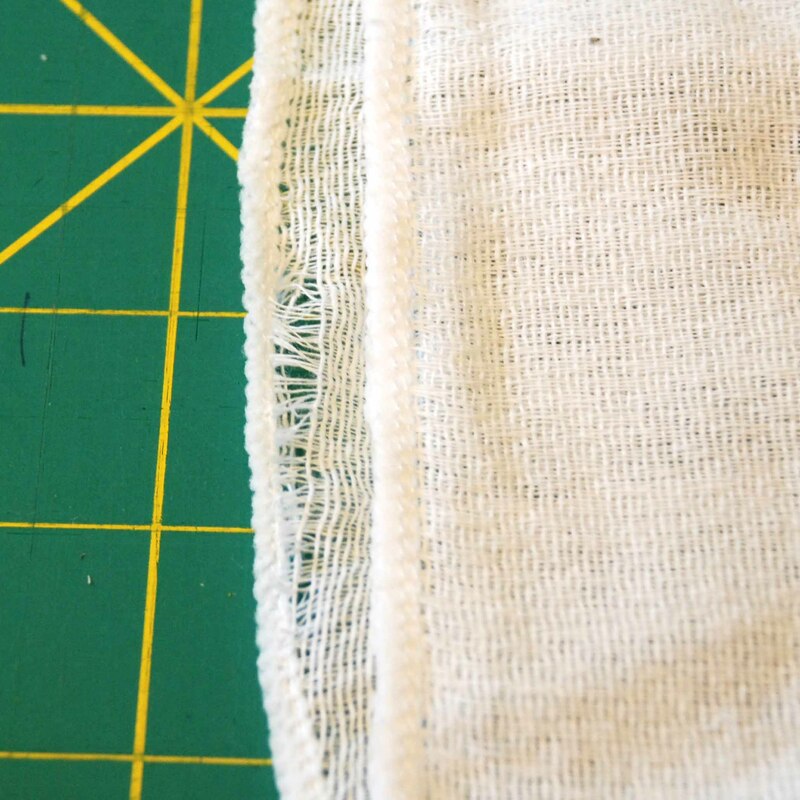 I ended up trying one that I straight stitched about 1/4″ in (leaving a gap for turning) and then turned it right side out and sewed along the edge. I really didn’t like how this looked.. It looked like a washcloth gone ninth grade home-ec.. Ever have it where you have been doing something all your life and yet you have these moments like you’ve never done that thing before? Yeah, this was one of those moments.. So I opted to try and cover it with a zig zag stitch. Ultimately, I think this is my favorite. 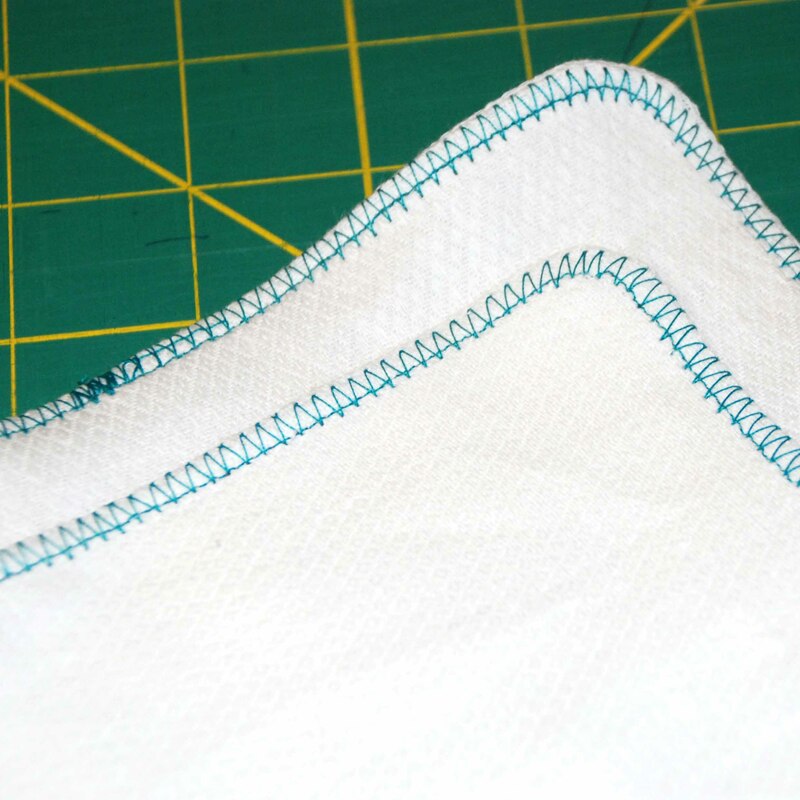 But next time I will forsure skip the straight stitch and just go with the zig zag. Here’s all four of the cloths. 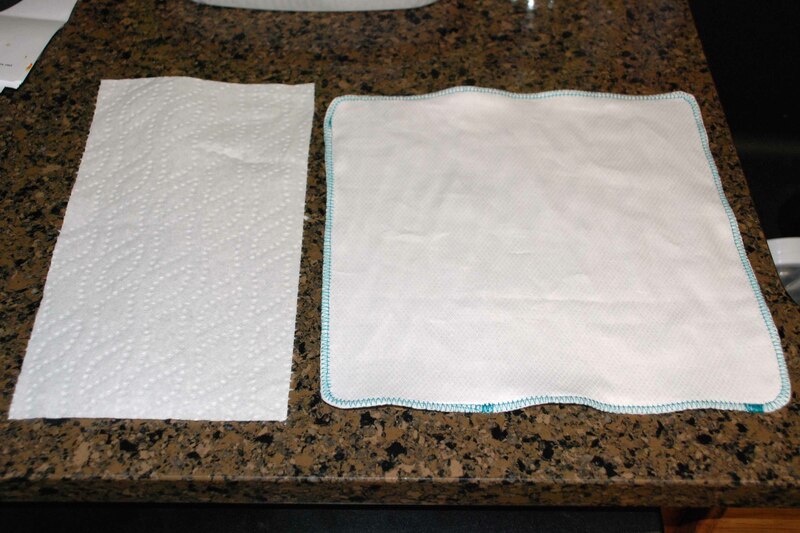 This is a cloth in comparison to a paper towel. Yes, the paper towel is one of those smaller size ones, but it at least gives a scale. I am really excited to start using these around my house in attempts to eliminate my paper towel usage! I’ll post an update after a couple washings to let you know how each one holds up.. even though I think we all can predict how that’s going to go..